Midsider will help those who work with reaper to add mid/side capabilities to any plugin with a minimum of setup. Check the tutorial video, you’ll be mid/side’ing in no time. 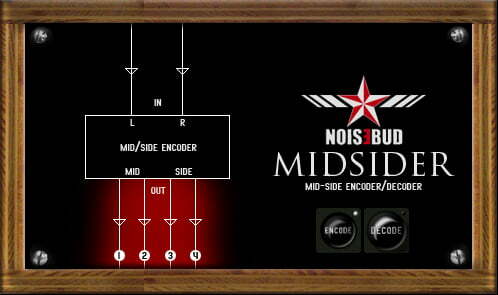 If you use Midsider for creative effects, remember that anything added to just the side signal will be lost in mono. Use our plugin Leaky or use other methods to add some of your effect to the mid channel as well. Wait for version 2.0… There’s already an alpha build for OSX (AU), x86 and x64. Stay tuned. Here’s an excellent video from fabfilter eplaining Mid/Side technique.